The show features an all star Bermudian cast that includes Tsilala Brock starring in the lead role of Celie. The production will run from February 3 to February 5, 2017 at The Ruth Seaton James Center for the Performing Arts, with performances at 7.30pm nightly. A spokesperson said, “The Color Purple is an inspiring family saga that tells the unforgettable story of a woman who, through love, finds the strength to triumph over adversity and discover her unique voice in the world. “With a joyous score featuring jazz, ragtime, gospel, African music and blues, The Color Purple is a story of hope, a testament to the healing power of love and a celebration of life. “Ms. Brock is delighted to be back home performing in Bermuda. She is joining the cast of The Color Purple after participating in TROIKA Bermuda’s previous Work In Progress “Beauty and the Beast” as Belle. She is so grateful for the chance to join this story and outstanding cast. “Her recent television credits include Broad City, Happyish and The Mysteries of Laura. 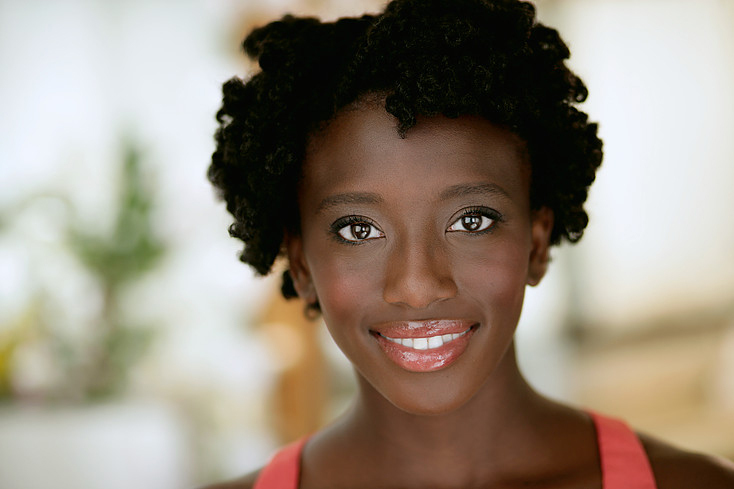 Her theatre credits include Moira Hopkins in Satchel Paige and the Kansas City Swing [The Repertory Theater of St. Louis/Cincinnati Playhouse in the Park], Migguel Anggelo and the Immigrants: Russia Tour [Summer 2016 Russia Tour], The Suitcase Project [The Bric Brooklyn], Another Son of Venezuela [Joe's Pub] and Olivia in Twelfth Night [The Vineyard Playhouse]. “She is a 2014 graduate of Carnegie Mellon University and a proud member of SAG-AFTRA/AEA. “TROIKA encourages the public to purchase their tickets early to avoid disappointment as they anticipate that this show, like over the summer, will sell out. 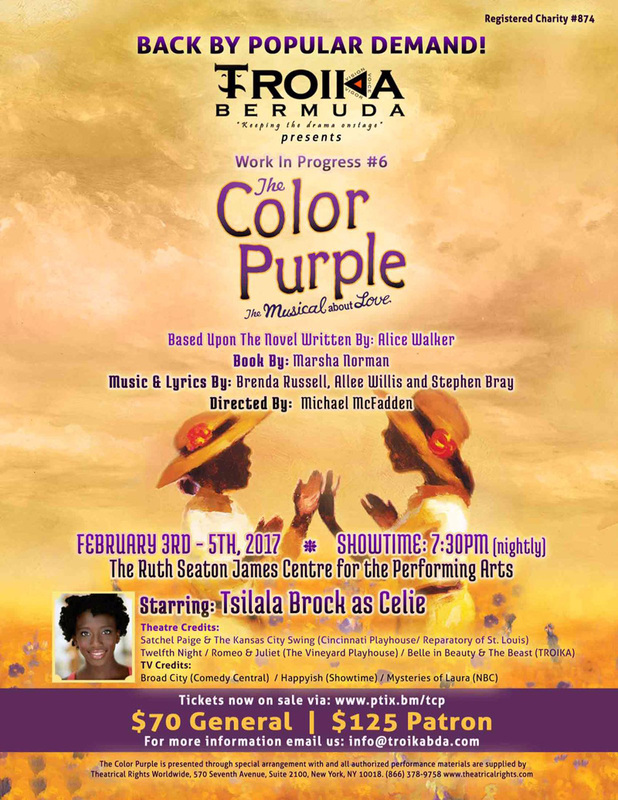 “TROIKA Bermuda is working towards purchasing a portion of their own technical equipment which will be used for the upcoming run of The Color Purple as well as future productions. If you are interested in supporting this cause and donating a piece of sound or lighting equipment, please email info@troikabda.com or visit the website. Awesome! Excited as I was away on vacation during the August showcase, and was upset that I missed it. I love seeing this great, local talent!